The sun is shining, it’s warming up so I thought it would be a perfect day for a stroll over to Breadworks (Best of Boulder 2010). Their sign out front does a perfect job of greeting you with what they’re about. And in case you’re not familiar with artisanal bread, as you walk through the door you’re treated to cases of beautiful breads that look almost too pretty to eat. Annette, the front manager, kindly showed me around and explained a bit more about what they do. Everyone in Boulder is so nice. She took me back to show me the kitchen, still in full baking swing at 11:00. 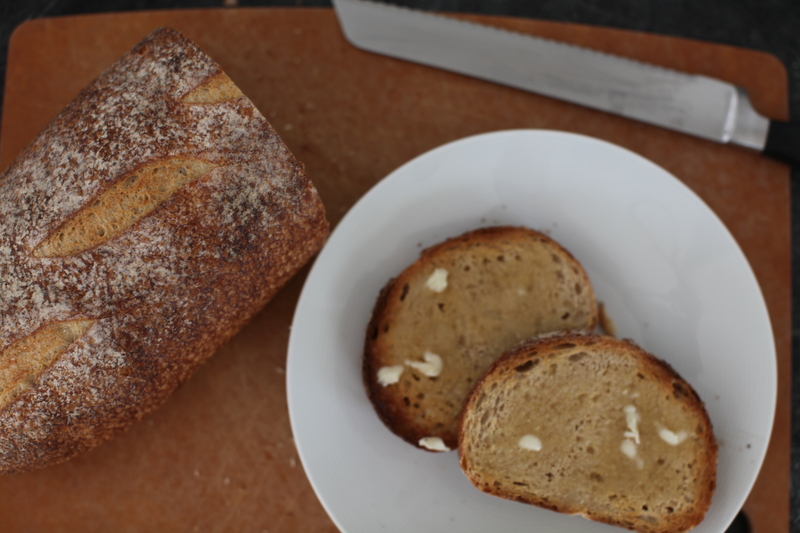 Here they work from a sourdough starter which is a little different from the sponge starter at Great Harvest. I will be trying out both types of making bread over the next couple of days. I didn’t meet the baker, but Annette did ask him about cooking at high altitude for me and he said he’s never had any problems. Nice to know. 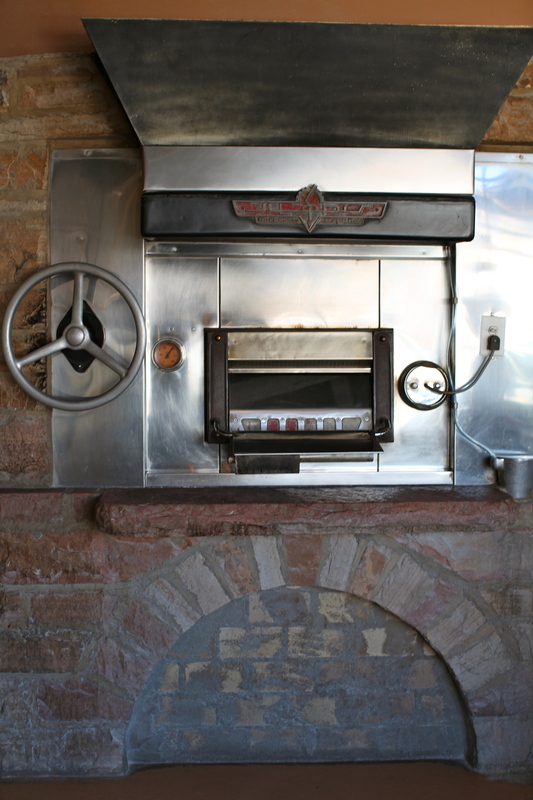 One of the most impressive aspects of their business is their enormous stone oven. It is an impressive piece of equipment that transforms each mound of dough into a beautiful, golden crusted masterpiece. Inside is a huge round stone platform that gets turned by the wheel as they add loaves. Pretty impressive. As I’ve been doing this project and encounter equipment like this it makes me a little jealous…I’m not going to lie. This and the professional coffee roaster made me salivate a little bit. I don’t think we have room for either in our house though at the moment. I will have to stick to using my little dutch baker in my crappy oven. The thing I love about Breadworks is that they also think about what everyone loves to eat with bread and I can think of few things as wonderful as soup. They have an extensive amount of soups they make throughout the year. The bread bowl has to be one of the best comfort foods in Winter. I have leftovers to eat, so I skipped it but I did bring home a loaf of their Pain Au Levain and their Green Olive and Sage. You are currently reading Breadworks, the hearth of the neighborhood at 52 To Do.